Calley, asked Thursday why he wasn't part of the program, said it was the Schuette campaign that told him they didn't want him to speak. LANSING, Mich. – Gov. Rick Snyder snubbed the Republican nominee to succeed him, Attorney General Bill Schuette, by withholding his post-primary endorsement this week. And in another sign that primary election wounds have yet to heal, Snyder’s top aide and adviser, Lt. Gov. Brian Calley, said he received a snub of his own from Schuette’s team on Wednesday. Calley, who finished second in an often-bitter primary against Schuette, said Thursday he wanted to take the stage Wednesday at a unity rally in Grand Rapids and publicly endorse the nominee, but the Schuette team declined. The Republican meeting stood in contrast to the Democratic unity meeting in Detroit Wednesday in two respects. First, the Democratic event was held behind closed doors, while the Republican meeting was open to the news media. But at the Democratic meeting, reporters waiting outside could hear gubernatorial nominee Gretchen Whitmer's defeated opponents, Dr. Abdul El-Sayed and Shri Thanedar, addressing the meeting to loud applause before stepping outside to repeat their endorsements of Whitmer to the news media. At the Republican meeting, which had plenty of down time featuring piped music while awaiting the arrival of the main speaker, Vice President Mike Pence, none of the defeated gubernatorial candidates spoke, though all were in attendance. Asked why Schuette's rivals weren't asked to speak, Michigan Republican Party spokeswoman Sarah Anderson said "the program was set last week before we knew who the winners were." The length of the program was supposed to be much more condensed than it was, but when someone of Pence's stature is the guest, "timing ends up changing at the last minute," Anderson said. The party welcomed the attendance of Calley and the other defeated candidates and looks "forward to continuing to unify our party as we look to November," she said. "In the closing days leading up to the election, we did offer to come to the unity event and to participate in the program, publicly giving my support for the Republican nominee," Calley said. "I reiterated that offer when I called to congratulate Mr. Schuette on his hard-fought win Election Night. While that offer was later declined, I still felt it was important to attend the rally in a show of unity." John Sellek, a Schuette spokesman, denied that the Schuette campaign did not want Calley to speak and publicly endorse Schuette. "It was not our event to control," but up to the Michigan Republican Party and Pence's office, said Sellek. "They had a lot of factors to deal with and we think they did a great job." 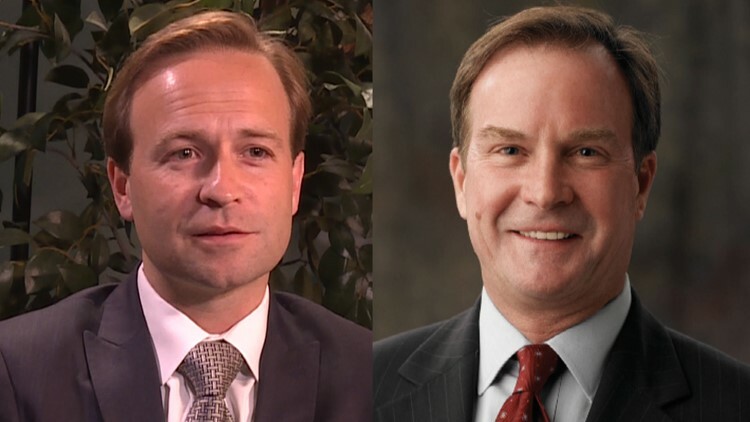 Sellek noted Schuette had publicly called, before the election, for his opponents to publicly support the nominee, and said he was "glad to have" their endorsements. He said the fact the Democrats held their unity meeting behind closed doors "seems pretty odd to me and indicates a fractured Democratic Party." Asked whether the Schuette campaign didn't want Calley to speak at the event, Anderson said "that's not my understanding," noting that Schuette praised Calley and his other opponents from the stage. On Thursday, Schuette called for at least three debates with Whitmer. She countered by proposing three debates focused on education and skills training, clean water and infrastructure, and affordable health care.